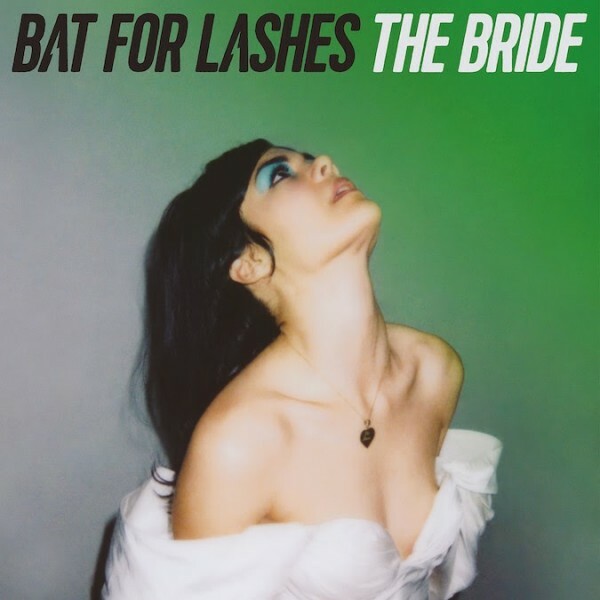 Bat For Lashes, the musical brainchild of instrumentalist and visual artist Natasha Khan, has announced the release of her latest album The Bride, set to drop in July of this year. The album is her fourth LP, following the release of 2012’s The Haunted Man. The new release is slated to be a concept album of sorts, revolving around the story of a widow who isolates herself and contemplates her loss, and copes with her grief. The album artwork was the result of a collaboration between Khan and Neil Krug over the period of several years. In addition to appearances of heavy-hitting festivals Governor’s Ball and Coachella, Khan will be performing select shows, with a bit of a twist. These shows will be located in churches in both North America and England. Khan, who will effectively be playing the part of “the bride” in the performance, is going the extra mile, inviting all attendees to the show to don the formal wedding attire for the concert. Needless to say, this is an original idea that could go a long way if pulled off correctly. It’s anyone’s guess as to what the album will actually sound like, as Khan has been all over the map musically in her career thus far. She has exhibited an interest in electronic, dream-pop and ambient sounds, so there’s no telling what may be on the horizon. She has the ability to effectively make use of layers in the production though, and one would expect that facet of her music to be on display here. Khan has however released a look at one of the tracks set to be included on the album. The cut, “In God’s House” has been released on YouTube, and it will only make fans’ thirst for the whole record grow, as the release date approaches. The Bride is sure to be one of the Summer’s most anticipated records. The album will be released on July 1, 2016.